Earlier this year, Kaitie Keough had a homecoming to remember at the 2017 World Cup Waterloo. Dave Mable sat down with Keough to talk about the experience and her family offered their thoughts on their favorite Little Badger in this extended video interview. 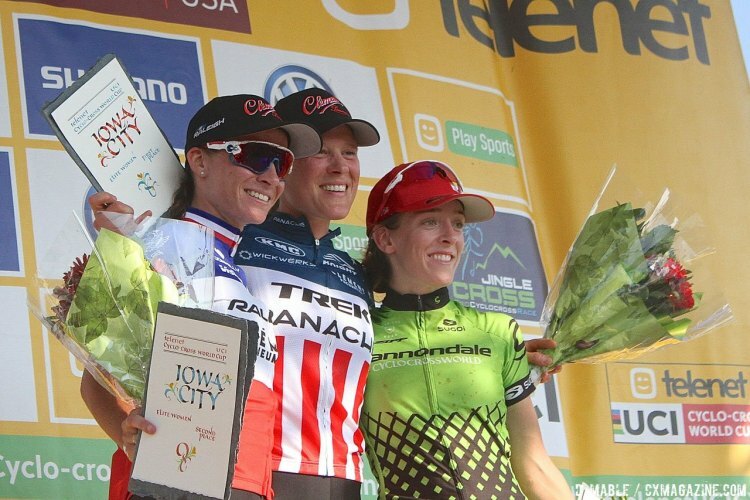 In 2016, Racine, Wisconsin native Kaitie Keough (née Antonneau) had a September to remember at the Waterloo and Iowa City races she had been racing for almost a decade. On Day 2 of the Trek CXC Cup in Waterloo, Wisconsin, she came on late to take home a C1 win in front of friends and family. 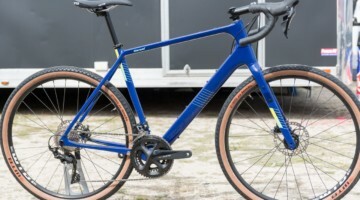 The next week, she went to Jingle Cross in Iowa City, where she has been racing for a decade, and took third in the first Jingle Cross World Cup. This year, the newly-wed Keough, who got married west of Madison, Wisconsin in August, returned to the unseasonably-hot Midwest for an encore. She delivered in electric fashion. 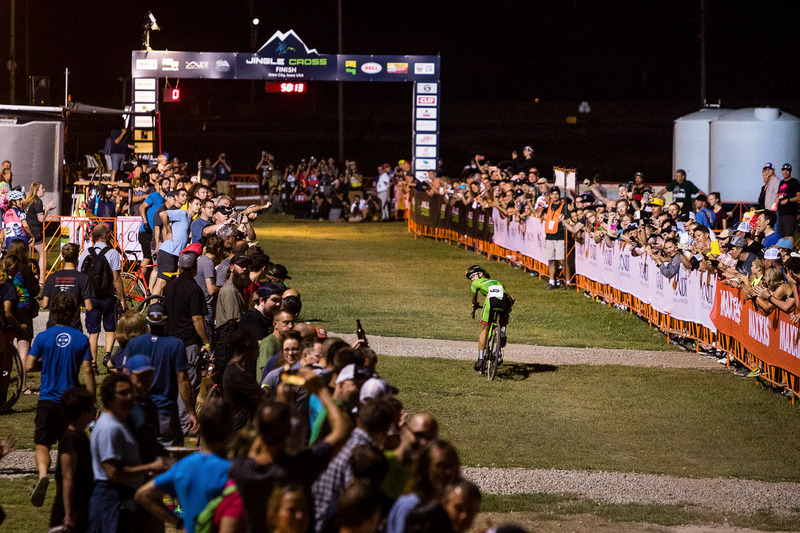 On Friday night at Jingle Cross, she outdueled Katie Compton under the lights to win in the C1 race. She then improved on her 2016 World Cup third with a second-place finish in Sunday’s World Cup. 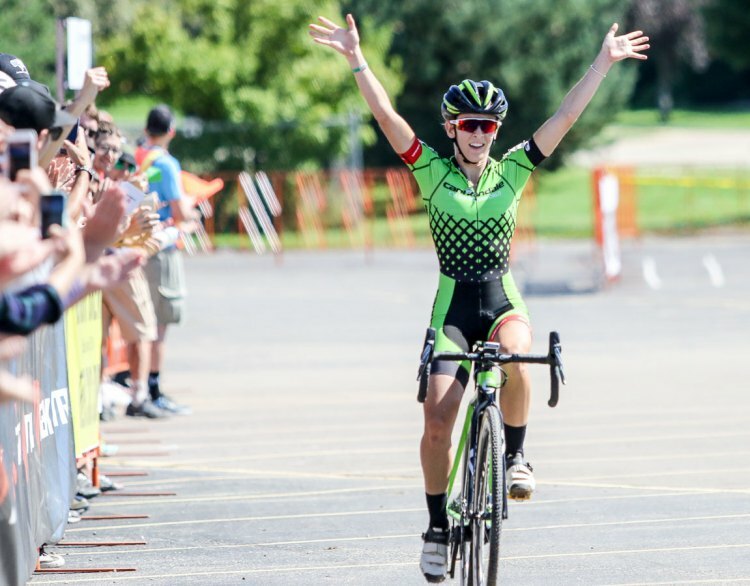 Not finished, she then followed it up with a second at World Cup Waterloo in front of dozens of family and friends and hundreds more in the Wisconsin cycling community who have been following her career since she was a little Little Badger. So how did 2016 compare to 2017 for Keough? “Way way better. Way more fun,” she said. What’s to come in 2018? It would be hard to argue against seeing a top-step performance from Keough at a Midwest World Cup. Kaitie Keough grew up in Racine, Wisconsin, which is located south of Milwaukee along Lake Michigan. 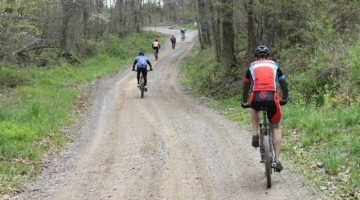 Keough’s introduction to cyclocross was through the Wisconsin Cycling Association Cyclocross series. 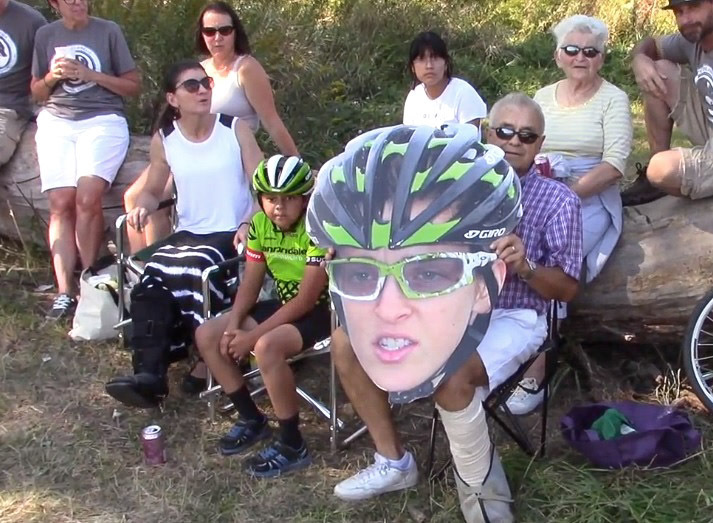 Kaitie Keough had an impressive cheering section in Waterloo. Badgers are known for their ferocity and toughness. Does her family like that nickname for their favorite cycling daughter? Turns out, they do. 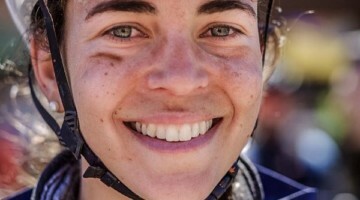 “The tougher the course, the hotter the weather, the bloodier the surface, the better she’s going to do because she can endure pain better than any other rider out there,” said her grandfather Jim Antonneau. 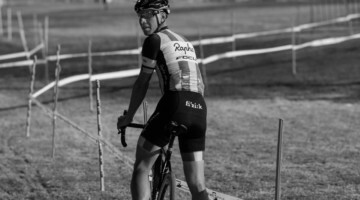 After graduating high school, Keough headed off to Marian University to race for the school’s varsity cycling program. She won three straight Collegiate Cyclocross Nationals from 2012 to 2014, while racing against familiar names including Sofia Gomez-Villafane, Emily Shields and Coryn Rivera. Keough was also racing World Cups in Europe and taking top tens at Elite Nationals during that time. 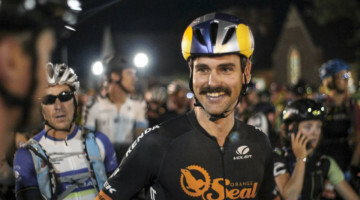 While at Marian, she also met fellow cycling star Luke Keough. 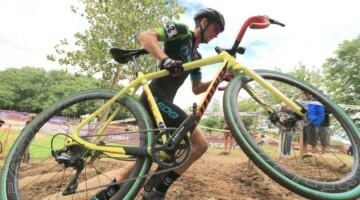 After managing a relationship for many years while the two traveled the country and world racing bikes, they got married in Wisconsin in August of this year. The Keoughs now reside in Colorado Springs. Keough was not done after her memorable nine days in the Midwest in September. 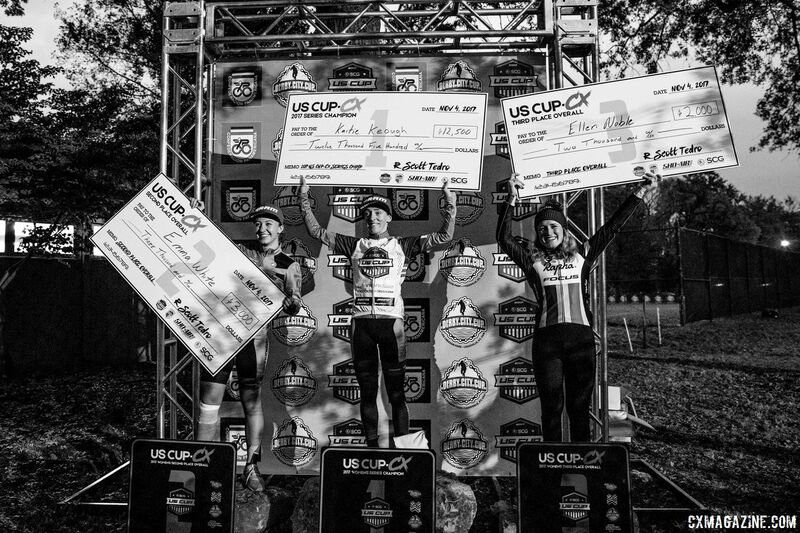 She went on to dominate the Women’s US Cup-CX series and win the inaugural $12,500 prize. 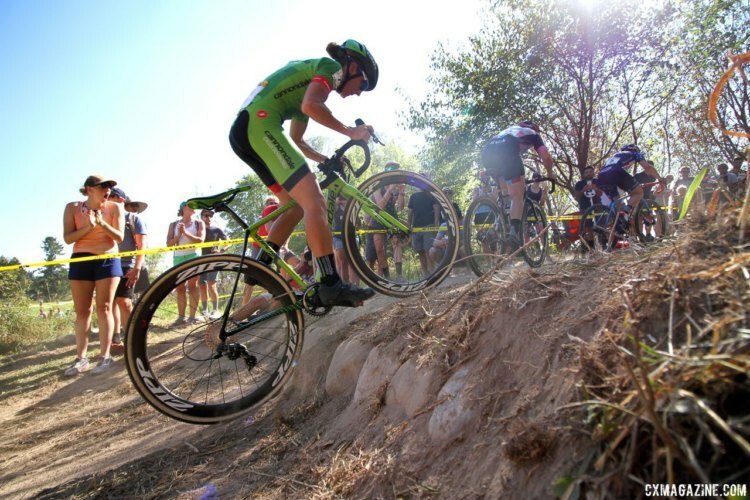 Cyclocross Magazine contributor Dave Mable sat down with Keough during the Saturday off-day at World Cup Waterloo to talk about her Wisconsin homecoming. We also spoke with her family shortly before her memorable second-place finish in Sunday’s World Cup Waterloo back in September. This extended interview features a conversation with Keough and her family about the experience. If you missed it, also see Keough speak Wisconsin in Mable’s “Name That Wisconsin Town” video.